Gino is a stunning little butterfly who loves the show ring. Gino has behind him some of the most influential sires and dams that the UK has to offer, DANEVIEW RHYTHM AND BLUES (UK) AND GB. IRISH & NW. CH BODEBI RAY OF SUCCESS TO LAFFORD (SWED) to name a couple. 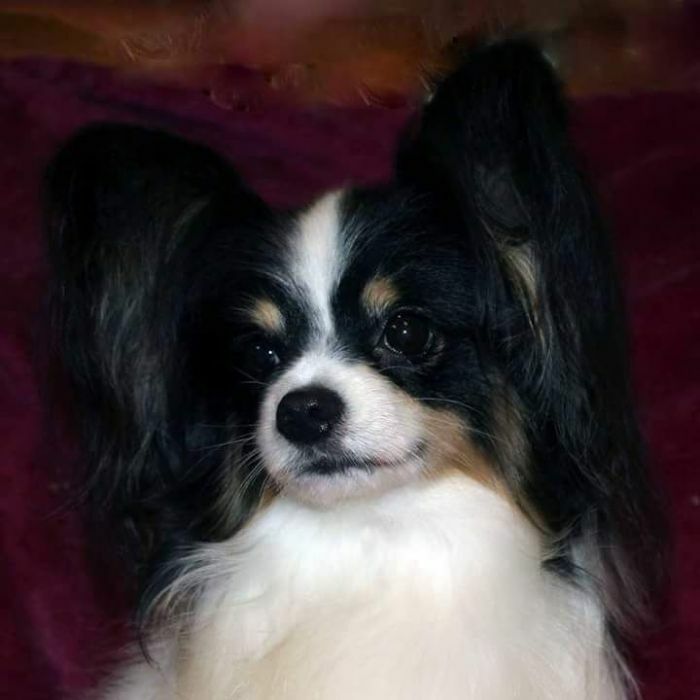 Gino is a grandson of ENG CH/CAN/AM SILVER GRD CH LAFFORD FLY ME TO FARLEYSBANE JW (USA) known to many as Dave. 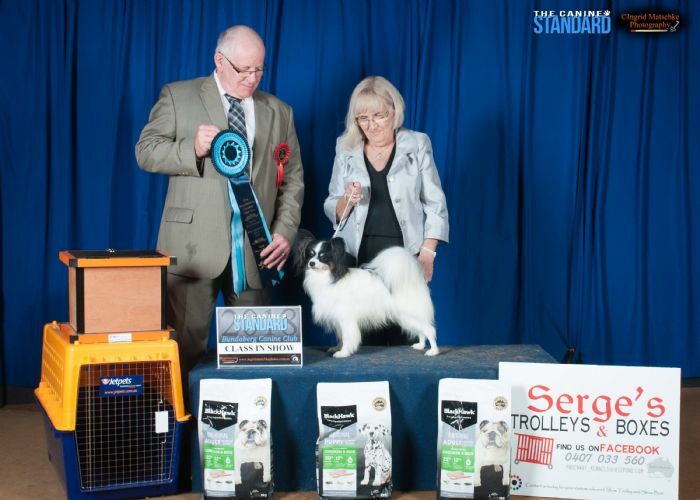 Dave has been awarded Best of Breed at WESTMINSTER 2012 AND CRUFTS 2012, 2013 and 2014. 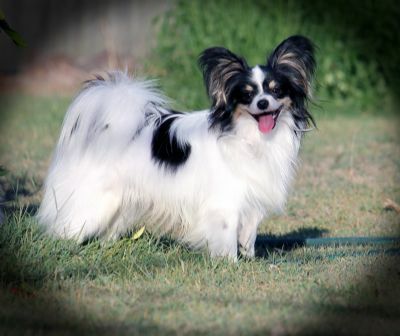 Ginos mother Bella is the daughter of Joseph another beautiful Bodebi champion and Uk top winning papillon. Gino is a double up of these stunning BODEBI lines and we are enjoying watching him mature.